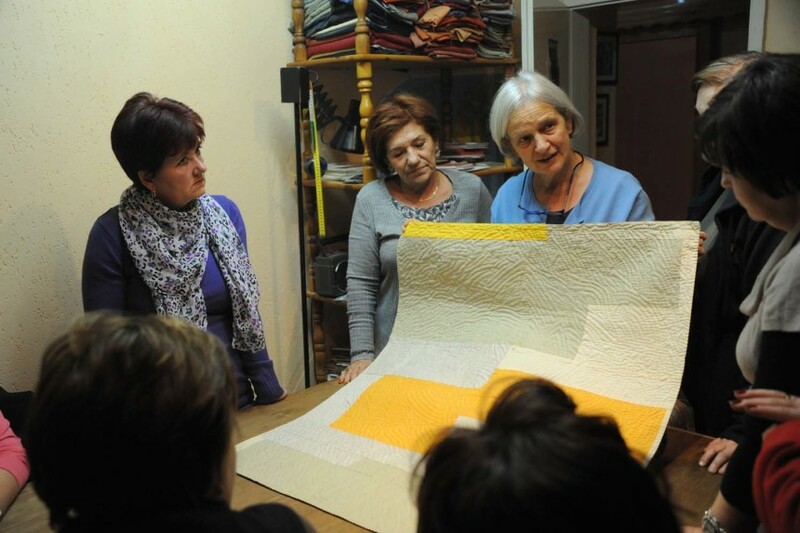 In the search of excellency and moving tales, Bosna Quilt particularly touched the Ad Maiora Association’s heart. It’s 1993 and the war in ex-Yugoslavia is at its peak. A large number of displaced people find shelter in a refugee camp based in Galina, Vorarlberg, Austria. Many of the refugees are women, who seem to have lost hope for a peaceful life. It’s in these circumstances that a group of local artists, pushed by the will to instill some hope in the refugee’s lives, offer the women in the shelter the opportunity to get involved in artisan and artistic activities. 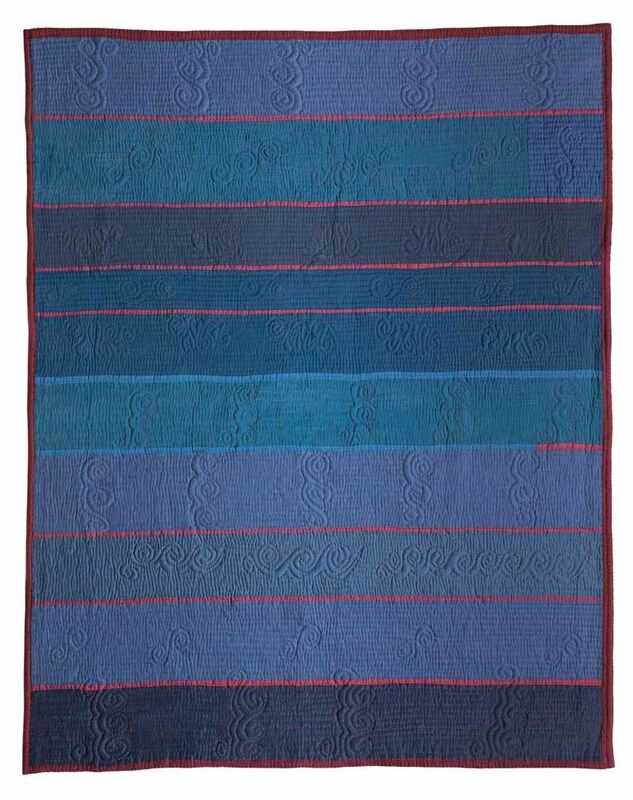 Amongst the artists is a painter named Lucia Lienhard-Giesinger, who begins experimenting with the designs of her first quilts. The initiative is a chance for the Bosnian women involved to escape their troubles and to find some inner peace. They meet at an empty garage space, and even though initially they can only communicate through gestures and signs, their hope is growing. 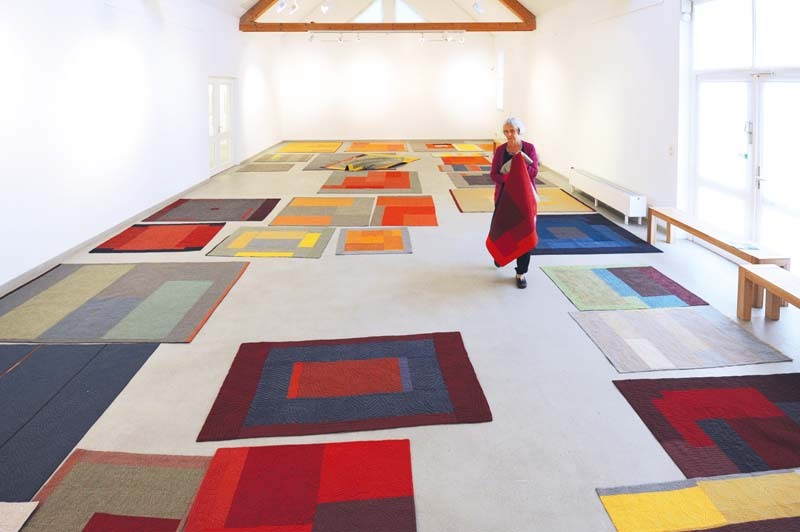 More than 20 years later and with over 200 active exhibitions in various European countries, Lucia’s enterprise resides in Bregenz, by the Costanza Lake, where she sketches the quilts and chooses colours and materials. It’s from there that fabrics and threads are sent to Gorazde, a town two hours from Sarajevo, where a group of ten women sews the quilts by hand, faithful to their creativity and style. Endless tiny stitches make up creations that are immediately retributed, regardless of whether the quilt has been sold; the women have a stable source of income and can offer their family financial security. 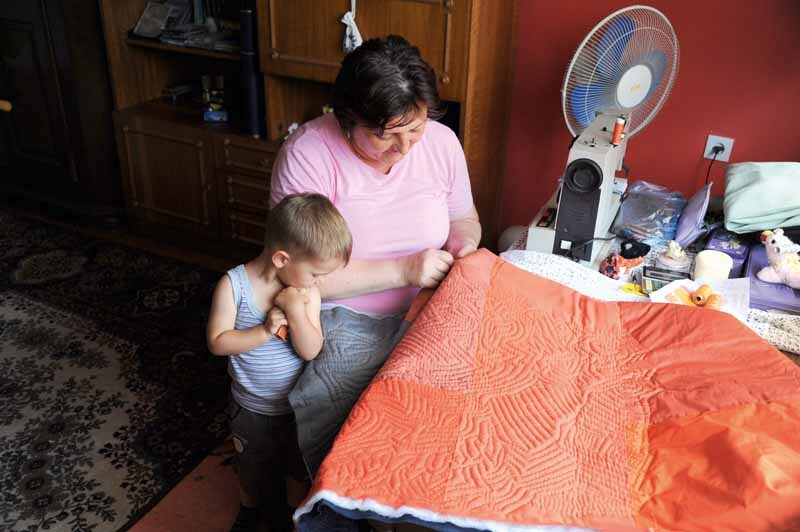 Every Bosna Quilt is a one-of-a-kind piece, the outcome of the efforts of two women, and the representation of these special unions of friendship and collaboration. We know the protagonists of this story are working on the last few quilts destined for Verona Tessile. From the 25th of April you’ll be able to admire the pieces in Sala Scacchi, at the Achille Forte Modern Art Gallery, Palazzo della Ragione.